The best Thai salads are combinations of opposing tastes and textures. The flavour should be a balance of hot, sweet, sour and salty. 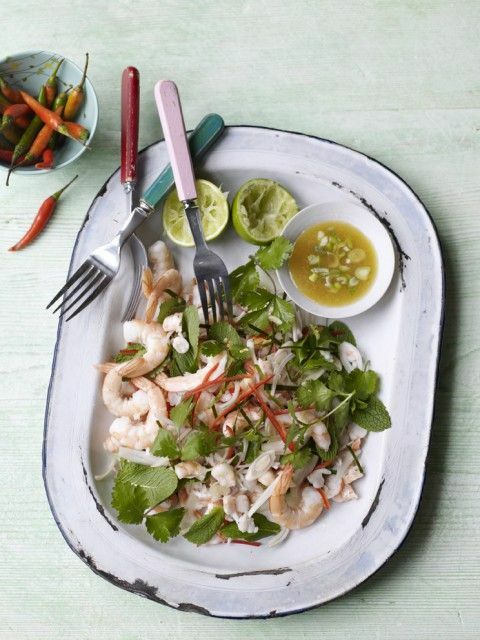 Get the balance of these flavours right and you can create authentic Thai dishes at home. Use the recipes as guides – the intensity of the ingredients can vary and only your tongue can tell you how much more of something you need to add. 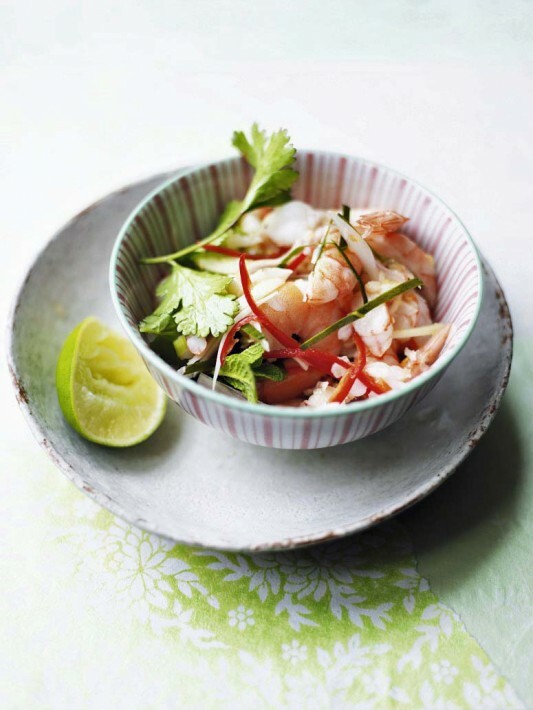 This Thai prawn salad is one of my favourite dishes and is adapted from a recipe by David Thompson. Peel the prawns and remove their heads and any veins, then thinly slice them. Combine the dressing by shaking in a screw top jar until well mixed. 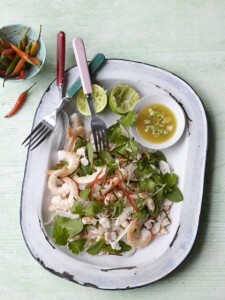 Mix the dressing and sliced prawn together then add remaining ingredients and mix gently to combine.